Lion’s Mane (Hericium erinaceus), not to be confused with other species of Hericium, is an edible and medicinal mushroom in the tooth fungus group. This mushroom has been used traditionally in China and Japan for hundreds of years, once reserved only for the palates of the royal families. Currently, you may find this mushroom in Chinese vegetarian cuisine, used to replace pork or lamb. Constituents: Some of the compounds found in Lion’s Mane mushroom (Hericium erinaceus) that are rendered in the fresh tincture include hericenones A-H, cyclic dipeptides, indole alkaloids, pyrimidines, flavones, anthraquinones, amino acid derivatives, and phenolic compounds. There have been many studies on the virtues of the Lion's Mane muchroom showing there are compounds like threitol, D-arabinitol, and palmitic acid that have antioxidant effects, may regulate blood lipid levels and reduce blood glucose levels. More recently, scientists have investigated this mushroom for possible anti-dementia compounds and found that it stimulates the nerve growth factor in human astrocytoma cells and myelination. A double-blind, parallel-group, placebo-controlled trial showed improved cognitive ability. Recently a group of Japanese researchers have patented an extraction process which isolates a NGSF (Nerve Growth Stimulant Factor). They found a compound in Hericium erinaceus which causes brain neurons to regrow, a feat of great significance in potentially helping senility, repairing neurological degradation, increasing intelligence and improving reflexes. Studies also confirm many of its traditional uses, supporting the digestive system, and acting as a tonic for the nervous system. In 2015 a study was published by Chinese researchers that reported Hericium erinaceus can offer pain relief in diabetic neuropathic pain, as studied in diabetic laboratory rats. Lion's Mane tincture is used to stimulate nerve growth factor (NGF) in the central and peripheral nervous system, repair neurological degradation from senility, improve cognitive function and memory loss, and improve reflexes. Lion's Mane is used for treating spirochaete bacteria in the brain caused by Lyme Disease because it can pass through the blood brain barrier, thus releasing spirochaetes into the blood stream to eradicate the bacteria. This calls up a bulk of work for the immune system, therefore it is recommended that a regiment for immune system support be implemented as part of an overall treatment plan. Stimulate Nerve Cell Growth : 1 teaspoon twice a day in a small amount of water. Lyme Disease : Stephen Buhner recommends 1/2 tsp. 3 x daily taken in a small amount of water. 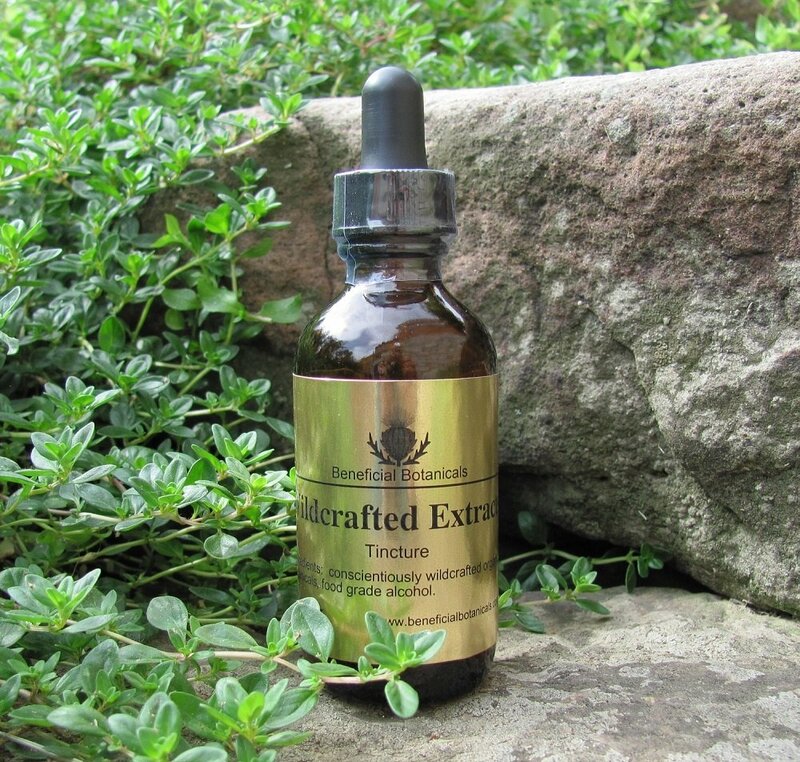 Generally considered safe, however if you are allergic to mushrooms or derivatives of fungi, do not take this tincture. If you are using Lion's Mane for the treatment of Lyme Disease, you might experience what is known as the Herx Reaction which can cause a notable amount of discomfort from the spirochaete bacteria release into the bloodstream. According to Dr. Andrew Weil, MD, Lion's Mane mushroom is a nontoxic medicinal (and culinary) and completely safe for women who are breastfeeding. Neurotrophic properties of the Lion's mane medicinal mushroom, Hericium erinaceus (Higher Basidiomycetes) from Malaysia. Lai PL, Naidu M, Sabaratnam V, Wong KH, David RP, Kuppusamy UR, Abdullah N, Malek SN. Int J Med Mushrooms. 2013;15(6):539-54. High molecular weight of polysaccharides from Hericium erinaceus against amyloid beta-induced neurotoxicity. Cheng JH, Tsai CL, Lien YY, Lee MS4, Sheu SC. BMC Complement Altern Med. 2016 Jun 7;16:170. doi: 10.1186/s12906-016-1154-5. Improving effects of the mushroom Yamabushitake (Hericium erinaceus) on mild cognitive impairment: a double blinded, placebo controlled clinical trial. Mori, K., Inatomi, S., Ouchi, K. Azumi, Y and Tuchida T. 2009. Phytother Res. 23:367-372. Hericenone C, D and E, stimulators of nerve growth factor (NGF) synthesis from the mushroom Hericium erinaceum. Kawagishi, H., Ando, M., Sakamoto, H., Yoshida S., Ojima, F., Ishiguro, Y., Ukai, N., Fukukawa, S. 1991. Tetrahedron Lett 32, 4561-4564.